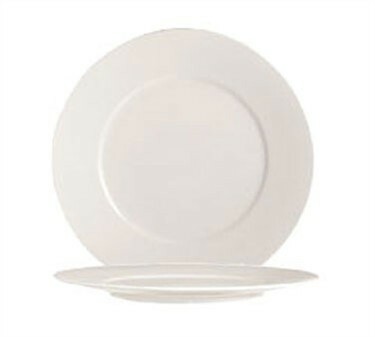 LionsDeal > Tabletop & Bar > Restaurant Dinnerware > China Dinnerware > Classic China Dinnerware > White China Dinnerware >< Embassy White Collection > Cardinal S0113 Chef & Sommelier Embassy White Dinner Plate 10-3/4" Dia. Cardinal S0113 Chef & Sommelier Embassy White Dinner Plate 10-3/4" Dia. Dinner Plate, 10-3/4", Embassy White, , Dinner Plate - serve in style. The Embassy White collection features Maxima protection, making it 2x more resistant than other products of the same thickness. Arc Cardinal prepares the foodservice professional for every occasion. Through our extensive collection of glassware, dinnerware, and cutlery, we provide comprehensive serving solutions to meet the demands of the foodservice industry.